admin • News, Official Website • No Comments on NicoleRichie.com gets a makeover! Nicole Richie‘s official website – NicoleRichie.com – has finally been remodelled and is again being kept up to date! Hopefully there will be some exclusives from Nicole herself from time to time. 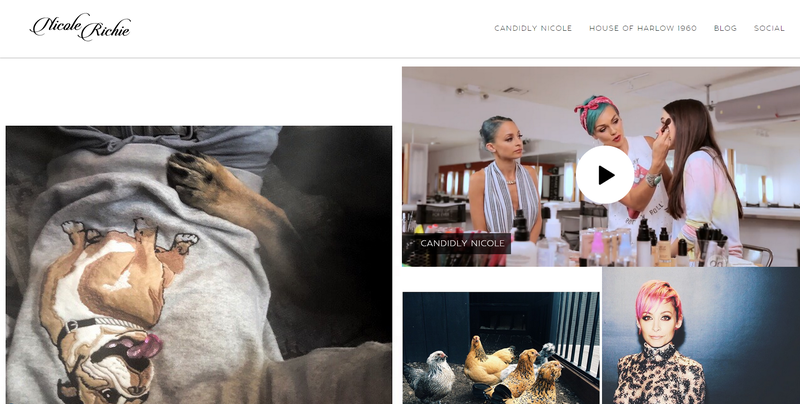 The website is now designed to display all of the recent updates from Nicole’s social media pages as well as the new #CandidlyNicole episodes. You can also access a blog in which official posts are featured from other websites. The site also includes seperate pages for Nicole’s show, social media and fashion line House of Harlow 1960. Nicole and Joel were very lucky and got to see one of my favourite bands perform live in concert recently – COLDPLAY! Check out some photos Nicole posted from the show on her official site by clicking here.